We are a full service plumbing contractor, there is no job too big or small that we can't handle. 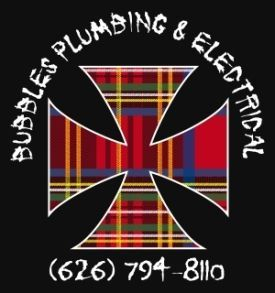 We can cover all of your plumbing & electrical needs with reasonable, competitive and honest rates. When you want professional on-time service for your plumbing needs you'll be happy you chose to experience the expertise from Bubbles Plumbing. With a level of friendly service that is second-to-non, you'll know the difference with the first call. Knowledgeable and friendly, we make it easy for you to do business. We work a team to better help you in all your needs. We offer only the best support. We specialize in both commercial and residential problems. No matter the size, big or small, Bubbles will come to the rescue.